For over a century, guaranteed snow, hospitality, tradition and sophisticated tranquillity have been attracting winter sports enthusiasts from all over the world to Lech Zürs am Arlberg. 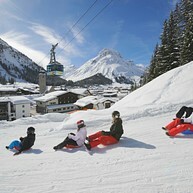 It is one of the select group of twelve villages known as the "Best of the Alps". It is not only ambitious sportspeople who appreciate this heavenly winter landscape. The winter season 2016/2017 also has plenty to offer walkers, gourmets and culture lovers. 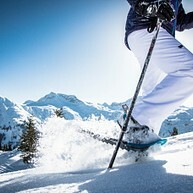 Ski Arlberg provides an unparalleled skiing experience with a total of 87 cable cars and lifts, 305 kilometres of ski runs and 200 kilometres of high Alpine deep powder snow runs.